For this interview we kidnapped bassist Dave Pybus for a while from his current band Cradle Of Filth to go back in time. Between 1991 and 1998 there was a band called Dreambreed, a band he formed with drummer Gary Querns. Through the years they had four bass players. Dave himself played guitars and sang. Recently Dave found the last recordings of Dreambreed (1997) again and decided to release them on CD. At that time Dreambreed just engaged Duncan Patterson as bassist and with him they went to Liverpool to record their songs at the MA Studios with Jamie Cavanagh. That’s why ‘The Misery Sessions’ unites three musicians who were bass player of Anathema once in their lives. I got to know Dave in 1998 when he just joined the ranks of Anathema after Duncan Patterson left that band. Later on he moved to Cradle Of Filth and we lost track of each other because of his busy life. That’s why this interview starts as a happy reunion and of course we had to talk about many things, but let us focus on Dreambreed and the decision to release their last recordings. Well, at that time we were hoping to get a record deal. It seemed kind of difficult because it was a time when rock and metal was going through a strange period. Grunge was dying and nobody knew what was going to happen in metal, so it was quite difficult for us to get a record deal. We did not have an image, Dreambreed was a kind of anti-image band and that did not help at all. The recording was quite good, but I lost the tapes which is not that professional, but anyway… (laughs). I found the original recording only two years ago. So I started listening to it. Technology now is much better than it used to be in those days. Jamie Cavanagh who was the original engineer and plays bass now in Anathema, wanted to do the re-mastering but he did not have time because they are recording a new album now. We were in touch by e-mail and he said: “Sorry, I have no time to do it, so good luck”. It took a long time but it has always been on my mind to release it. I did it all by myself, since the original drummer (Gary Querns – VM) kind of left music when we broke up. I wanted something new for the artwork, because the original cover on the inside was done by him. I met a guy on the internet from Columbia and he had some cool artwork. I asked him if it was alright to use a piece and luckily he was a very big fan of Cradle Of Filth, so he was like flattered and wanted to do it for free. And a good friend of mine who runs my record label Sixsixsix Records has been a great help for me in finishing the project and re-mastering it. Can you tell a bit of this record label? It is my own label I started it in 2005 when I left Cradle for six months to take a break. It was not the intention to leave the band and start a label, just some issues that needed to be sorted out in the band and I left for a while and started the label afterwards. 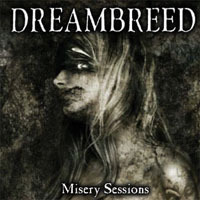 But we are not signing any new bands at the moment, only this Dreambreed CD. It is the third album we release; the other bands are quite independent stuff. Yes, Brian is a friend of mine I know from Heckmondwike. He is known from Drug Free America, an alternative band. We recorded it in 1998 and made a usual and instrumental version of it. I thought it would be fun to add it. It is a totally different thing here you do if compared with Cradle or Anathema where you play bass. Here you sing and play guitar. Actually what do you like best? I never wanted to be a front man, I was never confident enough to give a sort of charisma to the front-man role. Maybe I was a bit too shy. I was very anti-stardust. Even if I am in Cradle now, it does not mean I am a star, you know me better (smiles). It is just the way people see it. Cradle for example is a very hardworking band. There are good things about them, but you also make a lot of sacrifices with personal time and your girlfriend and your life actually. Dani has a great work attic and I really liked that when I came to join Cradle. Me, being the bass player obviously, I just wanted to play and Adrian of At The Gates was the drummer, we were very good friends already, so it was always a challenge of trying to keep up the work attic. You also recorded some Misfits covers. Can you tell anything about that? Do you think of writing or recording new Dreambreed songs? I am recording in a studio over here - you can call it solo - in a friend’s house where we re-mastered the misery sessions. I have some ideas to record some cover versions and some original material, but I don’t want to talk about it too much until it is finished, because it is a bit like saying you have a car with no wheels. It is fun to do something completely different from Cradle, there is no deadline, it is really free expression, it is all about music. That’s kind of new because we forget about that sometimes. It may take two or three years to finish it, but if I am enjoying it, that’s the point. No rush. 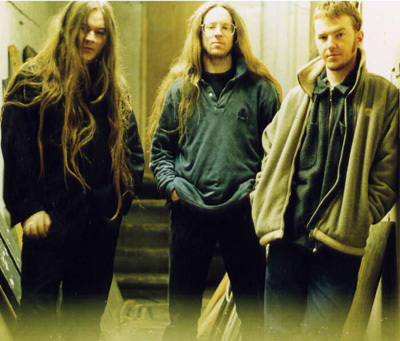 Dreambreed existed of Dave Pybus (vocals, guitars), drummer Gary Querns and a succession of bass players: Mike Rhodes (1991-92), Loz Pybus (1992-93), Paul Thornton (1994-96), Duncan Patterson (1996-98). Dreambreed played following gigs: their strongest year was 1995, when they toured the UK three times with Bruce Dickinson (7 shows), Reef (3 shows), My Dying Bride (7 shows). Other bands they appeared with were The Meteors (1991), Anathema (1993), Ship Of Fools (1992, 93, 94, 95), Solstice (1993, 95) plus many headlining local shows with other unknown bands. Their last show was in July 1997 in Bradford which was Duncan’s only live appearance with them. Cradle Of Filth will be playing at Summer Breeze and in December they are going on tour with Moonspell, Gorgoroth, SepticFlesh and Asrai.